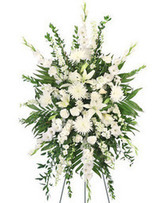 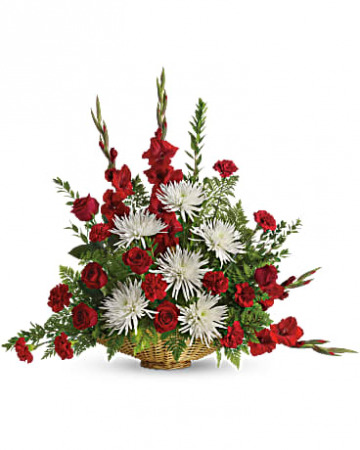 Designed for the memorial service, this stunning array of red roses, red gladioli and more is a beautiful expression of sympathy and caring. 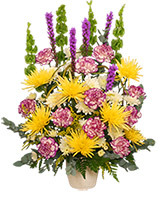 The radiant bouquet includes red roses, red gladioli, red carnations and white spider chrysanthemums, accented with assorted greenery. 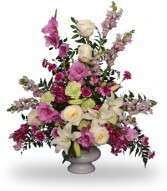 Delivered in a 14" fireside basket.